Engr. Fahad Riaz did his B.Sc. (Engg.) Metallurgy & Materials Science from Institute of Chemical Engineering & Technology, University of the Punjab, Lahore in 2008 and M.Sc. (Engg.) Metallurgy and Materials Science from Department of Metallurgy and Materials Engineering, College of Engineering and Emerging Technologies, University of the Punjab in 2012. Currently, Engr. Fahad is working as Lecturer in the Department of Metallurgy & Materials Engineering, College of Engineering & Emerging Technologies, University of the Punjab and engaged in imparting technical knowledge and skills to engineering students at graduate level. He is also supervising research projects at graduate level students. He participated in various national and international conferences and workshops. His areas of research are Metallography, Corrosion Engineering and Jewelry Materials and Design. 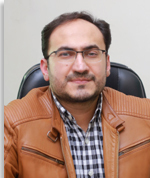 He has published research articles in national and foreign journals of international repute.